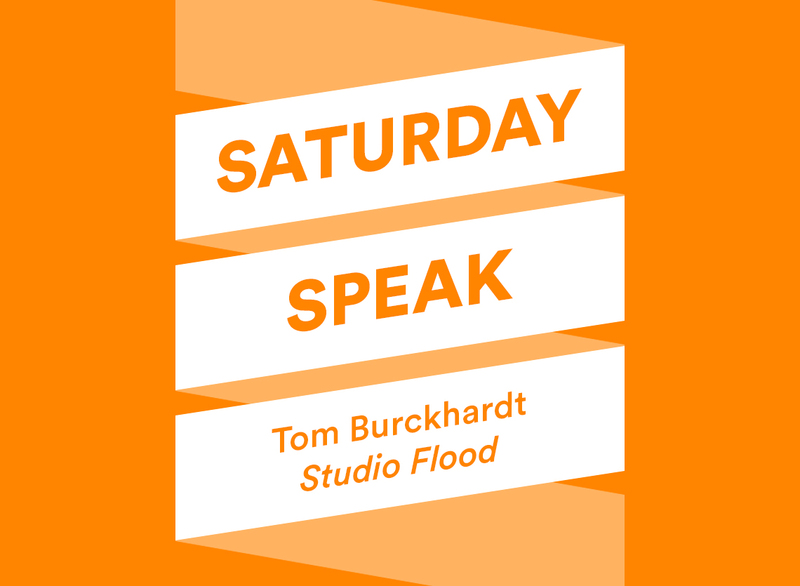 Join us for a Saturday Speak with artist Tom Burckhardt as he discusses the genesis of his current exhibition. Studio Flood is a life-size, walk-in installation executed entirely in cardboard and black paint, and centered on the image of an artist’s studio that has experienced a catastrophic flood. Called “one of the most interesting artists of his generation” by art critic John Yau, Burckhardt’s work has been shown nationally and internationally, including at the McNay Art Museum, San Antonio, TX; the National Academy Museum, New York; and City Museum, Aalst, Belgium. His paintings have been exhibited at Tibor de Nagy Gallery, Caren Golden Fine Arts, and Pierogi, all NYC, and Gregory Lind Gallery, San Francisco. He lives and works in New York City, and Searsmont, Maine.